This 5-1/2" square card is loaded with layers. 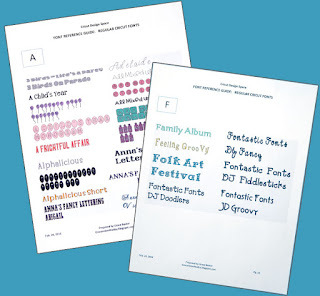 The design inspiration is from the background paper. Just perfect for the 15-year-old recipient. 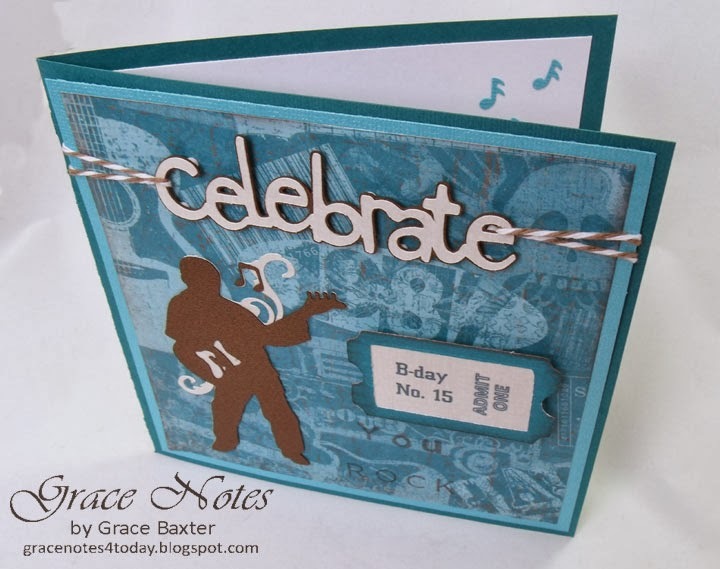 Card base is deep teal, layered with pearly aqua, then the background "rock music" paper. 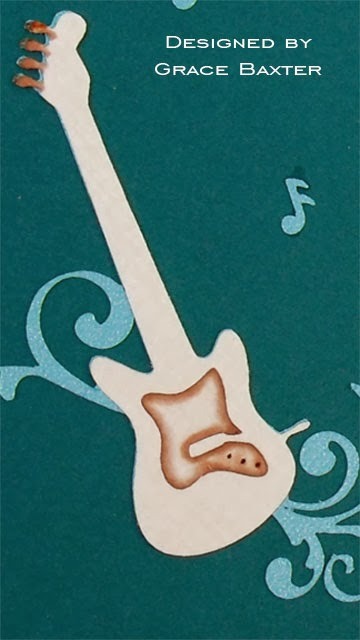 The bass guitar player is cut from bronze cardstock. The shine is more evident in the picture at left. "Celebrate" banner is shadowed in the same bronze. 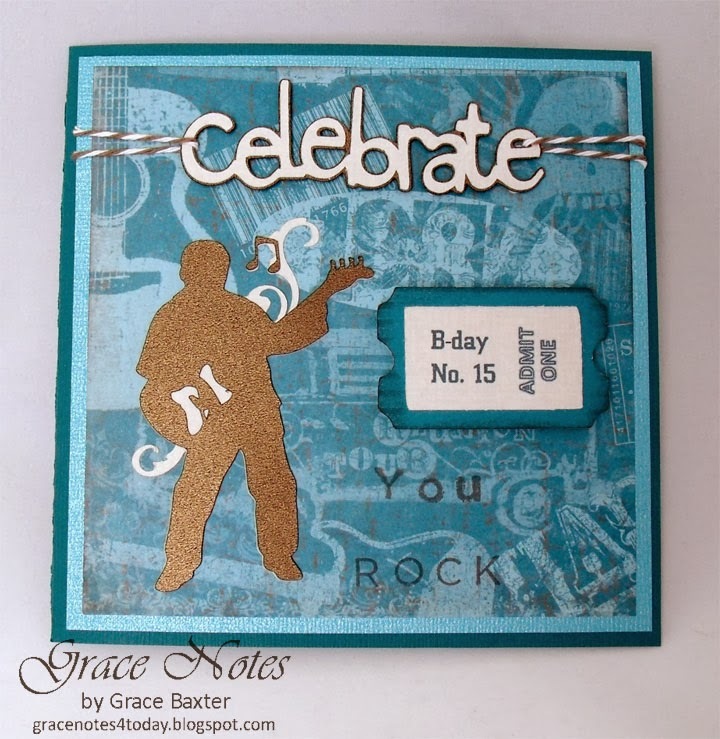 For extra emphasis of the theme, I stamped the words "You Rock" near the bottom. 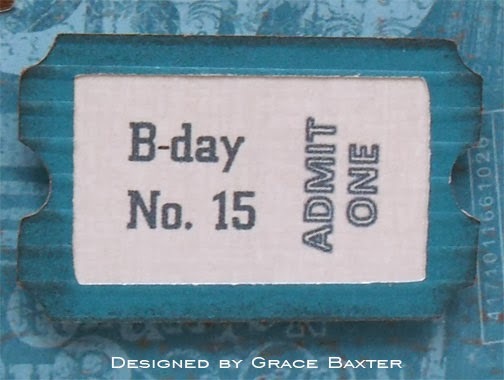 The ticket frame is cut from embossed paper, inked around the edges. I created the centre of the ticket in PhotoShop and printed the insert onto the same CS as used for the "Celebrate" banner. I love how the ticket turned out! The card inside is as busy as the outside. Don't you hate it when a card is boring on the inside? I continued the music theme with the guitar on the inside left panel. It's all about the details, so I spent some time jazzing up the guitar. 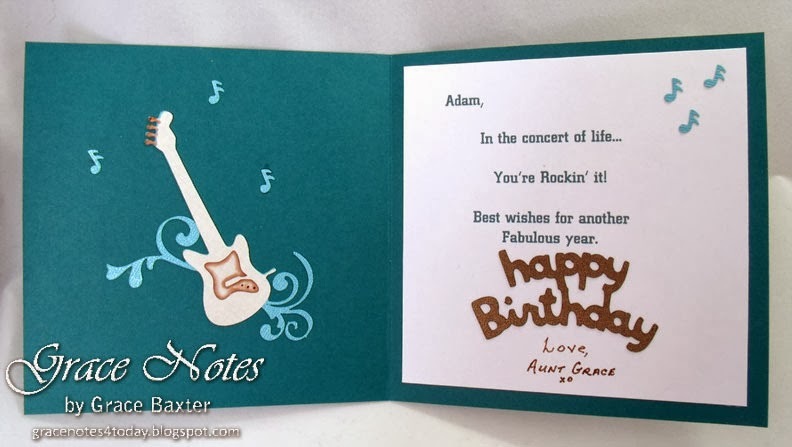 The notes are punched to match the swirls behind the guitar. As usual, I created the verse in Word and printed it on cardstock. 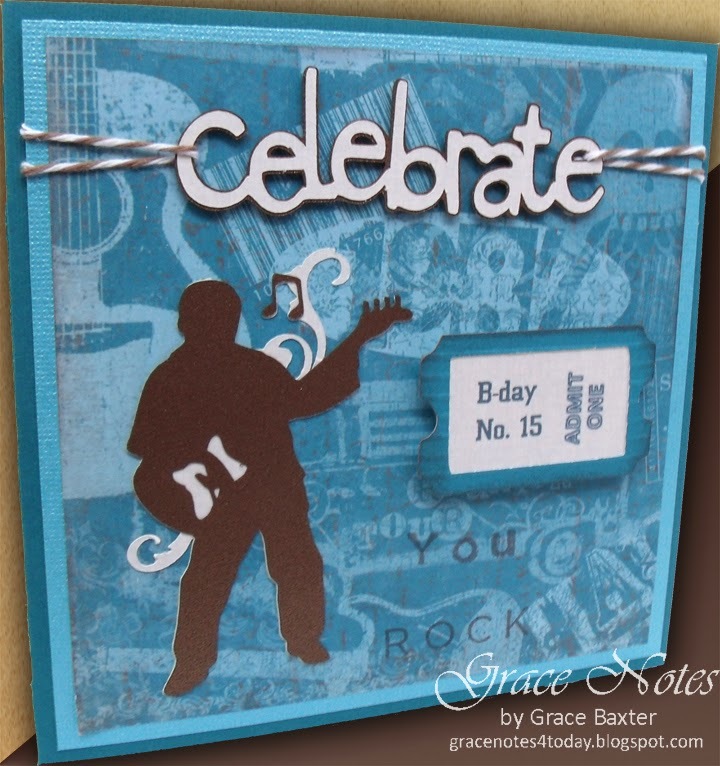 The "Happy Birthday" sentiment is from the same bronze CS. Quarter Note: Guitar Player, bass guitar. (How do I know it's a bass? Four pins for four strings.) You're welcome!